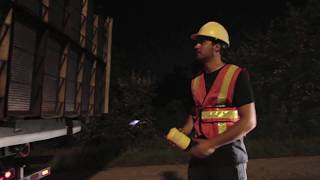 Main Infrastructure is atop Asphalt Paving and Pothole Repair Company providing innovative, safe, and reliable maintenance services and asphalt solutions servicing the Greater Toronto Area. Our aim is to satisfy our customers that has enabled us to become a leading full service Pothole Repair Company. We are the leading local providers of asphalt paving, asphalt crack sealing, and pothole repair maintenance services near you in the region. Our company provides top quality services with a focus on quality of workmanship, service and dedication. Main Infra has unique strength which provides different set of services to solve any infrastructure needs. We deliver asphalt solutions and maintenance repairs for asphalt surfaces, addresses issues with potholes and cracking, replace damaged curbs, drains or catch basins and much more. We are the Pavement Maintenance Specialists offering complete and accredited asphalt paving services for projects both, large and small. At Main Infrastructure we work with our clients through every step, in order to communicate effectively to enable good understanding so that the job is done in a right way. We have a proven track record that provides safety, reliability, stability and continued customer satisfaction in the Greater Toronto Area. We offer a holistic service, from concept to completion. Quality Service: Our services are well known for their quality and reliability standards. 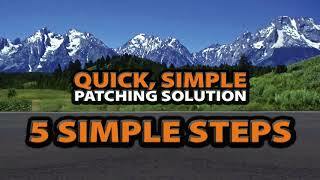 Cost-Effective: Provide Wide-range of asphalt patching services within budget. Eco-Friendly: We offer Eco-friendly Services wherever possible. Fully Licensed & Insured: We are fully licensed, and certified with extensive experience. Advanced Equipment: We own the best equipment for Asphalt Repairs and maintenance depending upon your demand and conditions. Long-Lasting Repairs: We deliver long-lasting asphalt pavement solutions. 24/7 service commitment: We are committed to provide you 24/7 services in your locality. At Main Infrastructure our values define who we are as a company and as individuals by guiding our actions and decisions. Main Infrastructure is proud to offer its customers a full range of services to meet their construction and maintenance needs. Main Infrastructure provides a complete range of pothole repair services using innovative and advanced technology to ensure that your pavement surface is both safe and beautiful. We at Main Infrastructure offers the best pothole spray patching services that allow you to patch/ repair your damaged pavement Quicker! Infrared Asphalt Patching is a permanent solution that utilizes advanced infrared technology for critical and damaged repairs. 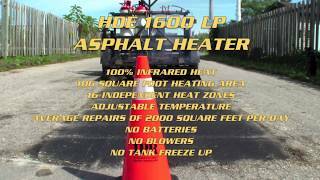 This technology is highly specialized using infrared heaters to recycle 100% of the existing asphalt. If you want the Best Possible Restoration and Repair services, Choose Main Infrastructure!! Asphalt Paving services provide a perfect solution to all your asphalt paving needs and interlocking needs for your residential, commercial & municipal requirements. At Main Infrastructure, our aim is to provide you with excellent asphalt paving services to maintain a high level of flexibility for your specific needs. Main Infrastructure specializes in catch basin repairs and manhole repairs around asphalt surface to prevent future costly repairs all over Toronto and the GTA. We provide fast and full proof control drainage system to deal with any catch basin problem to get the most efficient drainage control possible. Main Infrastructure offers specialized and affordable asphalt crack repair services that can help you to preserve and improve the look and texture of existing asphalt surfaces. 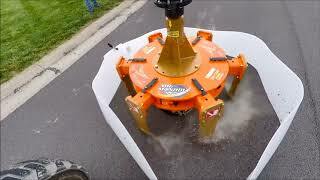 We also deliver Asphalt repairs and maintenance needs that will help you to extend the life of your asphalt. Main Infrastructure provide a safety focused total solutions with a large fleet of hydrovac excavation trucks that allow us to service small & large projects through Ontario. Hydrovac services is highly efficient solution which include manhole cleaning, culvert cleaning and pile holes cleaning services with best results. Copyright © 2018 | MAIN INFRASTRUCTURE LTD.